The Pineapple Support branded hoodie in steel grey is the perfect way to show your support as well and keeping warm and looking slick. The front of this awesome item is printed with Pineapple – Your Safe Word and the back has our .com logo, cheeky, but discrete enough to wear out and about. The stylish hoodie has twin needle stitching detailing, double fabric hood with self coloured cords and kangaroo pouch pocket with small hidden opening for earphone cord feed. The ribbed cuffs and hem (for your pleasure), give this item the perfect finish. 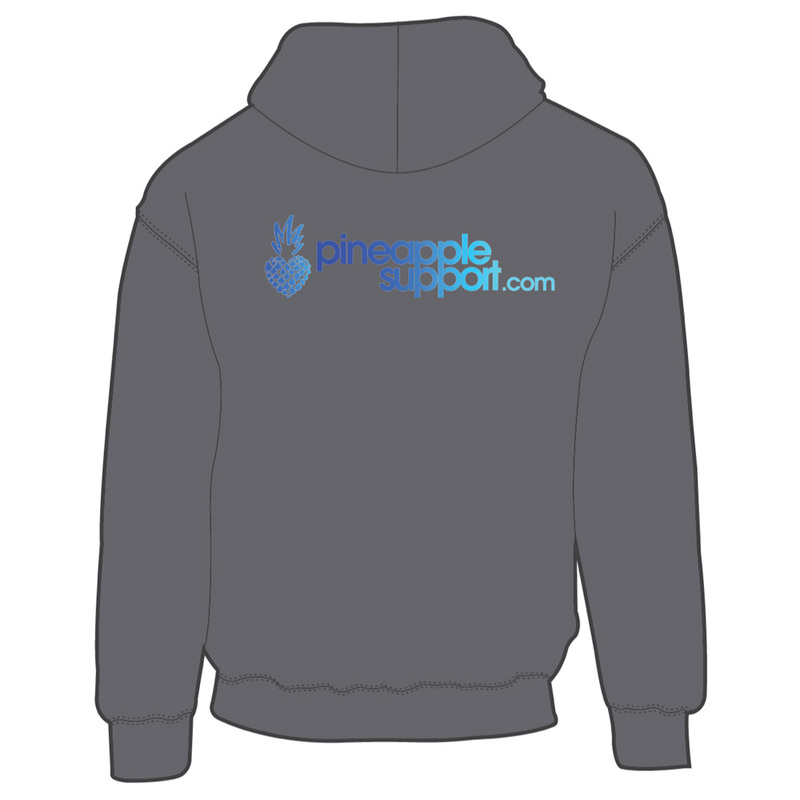 Pineapple Support Steel Grey Unisex Hoodie.